Blogging will always be a popular hobby or activity for most people since there will always be the need to communicate with other people around the world. This kind of communication is important whether for the purpose of sharing thoughts, opinions, or experiences. It is all considered as valuable information from one person to another person regardless of the actual content or information being shared. As you will be reading through this post, we will be showcasing around 20 examples of responsive professional blogger templates that you can use for your own blog. Voodio is a professional-looking responsive blog theme for videographers. It has the latest features to help users create a stunningly beautiful and high-performance website. The theme can be manipulated by using the drag and drop page builder available to best WordPress theme websites. Other useful features that Voodio has are customizable widgets and plugins that allow you to easily add more features to your site that can increase user experience without decreasing site performance. Voodio also features a function called the live customizer that allows for a much easier customization of every feature on the site. 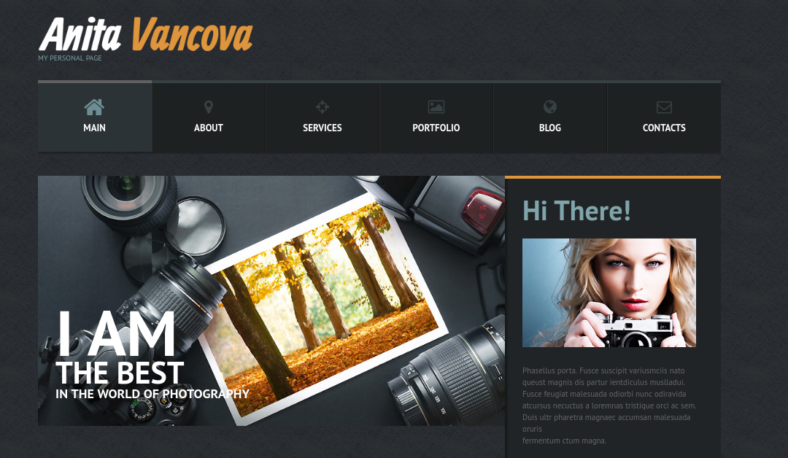 This responsive WordPress blog theme is truly the work of a professional. 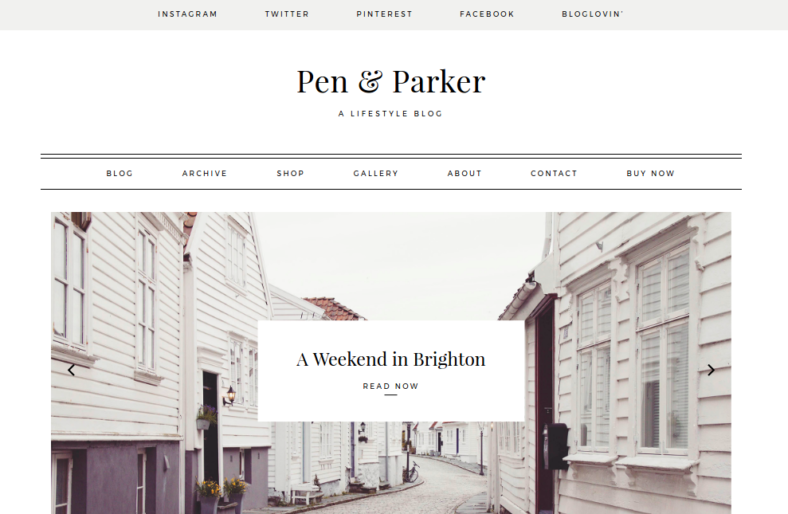 Parker is a responsive website blog theme that rather looks like a piece of art. It is a lifestyle blog theme that has several features and functions that allow for the creation of unique details and stylings on the website. This is achieved thanks to the numerous layout options that allow you to select a pre-made layout for your page. Another useful feature is the Woocommerce plugin which allows you to easily create an online shop on your site with the push of a button. 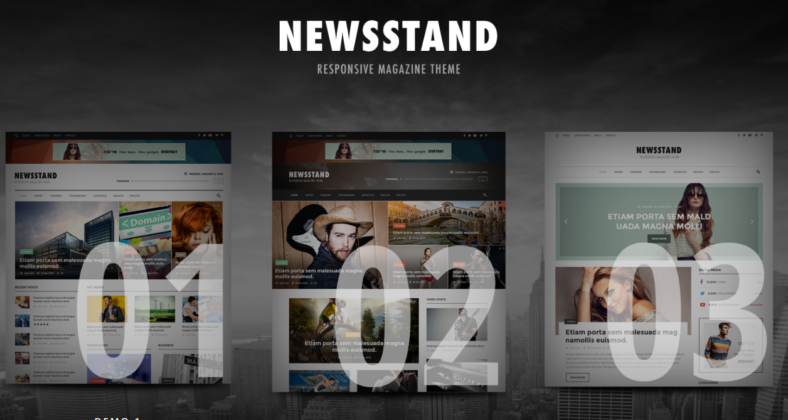 Newsstand is a responsive magazine WordPress theme with a variety of features and functions that make this creative WordPress theme extremely flexible and multipurpose in nature. This is considered to be one of the best magazine website theme templates available, and it is easy to see why when you look at its amazing designs and graphics. When it comes to creating your site, you are given a variety of options to approach such as using one of the pre-made blog pages that are available within the category archive. Another option would be to create your own free WordPress theme from scratch with the help of the variety of features available upon purchase of this theme. One example of such a feature would be the customizable header, footer, layouts, and even the color scheme of the site. Fashion is a responsive vintage WordPress theme that takes after the definition of its name. Fashion consists of several features that make it capable of creating and designing unique and beautiful web page designs and graphics, as well as effectively display certain content. One example of such a feature would be the live customizer, a tool used to edit the site in real time. In most cases, this feature is used along with the powerful drag and drop page builder feature to manage every portion of the site from the layout to how the content will be displayed. If you aim to create your Web blog off of a simple and clean-looking professional blog theme, then Madison is for you. Madison is a responsive free WordPress theme and template that is made to be as lightweight to allow for greater performance without sacrificing graphics quality. It is a WordPress blog theme that allows users to easily manage the layout of the page and provides flexible color options that can further enhance the appearance of your site. It is completely responsive in design and can be easily viewed on several devices aside from laptops and personal computers. It is also quite easy to install and run. Lastly, it features a theme-supported customizer that lets you customize the design of the theme in any way you so choose. 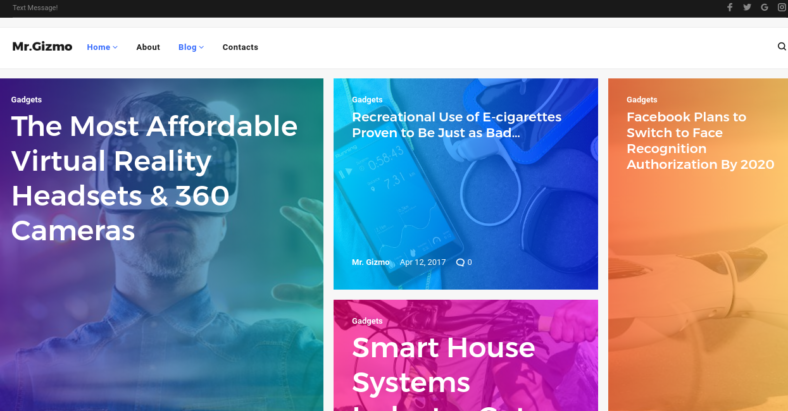 Mr. Gizmo is a responsive magazine blog theme perfect for those who are in need of creating a technology and gadget-based popular WordPress blog. It is also ideal for site owners who require a theme that is capable of supporting different forms of media formats. This blog theme consists of quite a few useful features that will help the site maker manage the website with as little effort as possible. 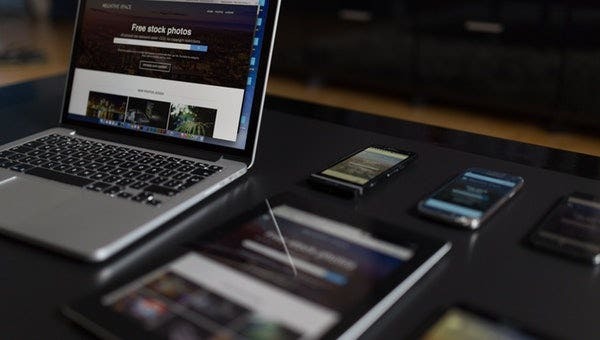 Thanks to this website are fully responsive, it can be accessed from any device that is capable of connecting to the Internet. It also has a live customizer feature, social networks integration, sidebar options, and many more features, making this website theme template a fast and reliable website theme for any person seeking to create a technology blog WordPress. 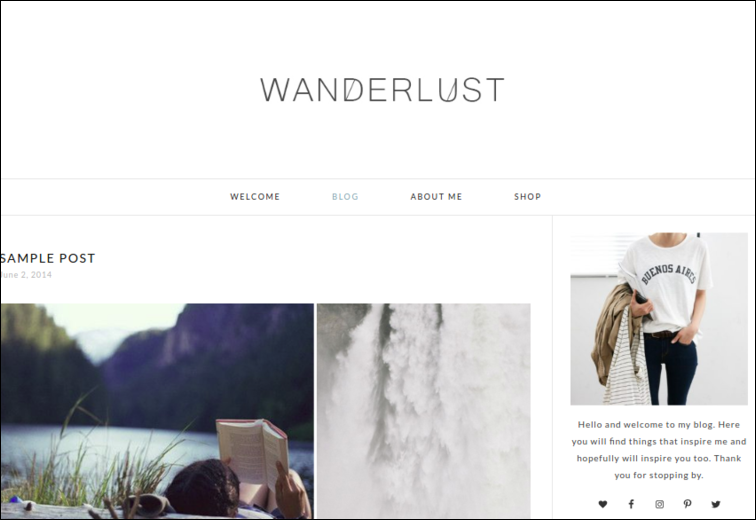 Wanderlust is a responsive WP theme and template that takes inspiration from the romantic notion of traveling around the world. This concept is wonderfully captured within Wanderlust, as can be seen in the image above. The site is ideal for displaying travel photography and posts about destination vacations. 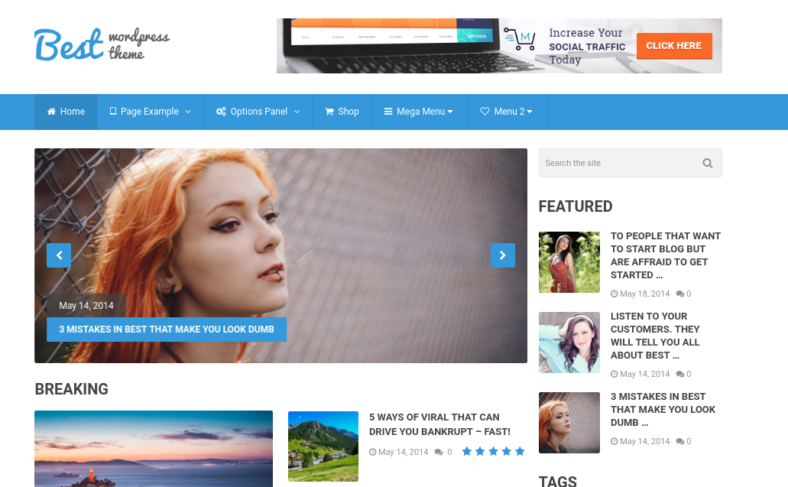 SociallyViral is a beautifully designed WordPress theme that is fast and reliable in terms of speed and performance. Increasing traffic to the site is actually a simple task to accomplish thanks to the social sharing features built into the design of the professional WP theme. This makes it easier for site viewers to share your content on different social media sites. BAPR is a versatile and powerful multipurpose WordPress blog theme that can be used for the creation of a personal blog, a fashion blog, a lifestyle blog, a travel blog, a food blog, a tech blog, a photography blog, a magazine blog, or any other form of blog you could possibly think of. It has over a hundred writing styles and options that can help make your site appear more creative. BAPR also has several features that will allow you to edit any part of your site, be it the color scheme, the font styles, and other portions of the site. Gridbox is a grid-based magazine WordPress theme that supports the creation of several content topics on a single page without having the site suffer performance problems. It is a fully functional theme with a beautiful design and some fancy effects. With several choices for the color scheme of your site and a sleek background, as well as the ability to customize the appearance of the site itself, Gridbox is one of the best choices when it comes to the creation of an effective blog site for both veterans and novices in site creation. If you are into the creation of an old-school black-and-white blog theme, then Maryanne is the WordPress blog theme for you. Maryanne is a minimal WordPress theme created with the intention of bringing back a bit of the past to today’s modern era. Beneath its exterior of a beautiful classic design is modern coding making it possible for this design to function at top performance speed. Fully editable and completely responsive, this WordPress theme is called Personal Page and it is truly a work of art. From the design choices and display options to its customization features, this website theme is considered to be one of the best and fastest personal responsive WordPress blog theme available today. It also allows you to customize your post format as well as adjust the language settings on your site to make it easier to create a multilingual web page. 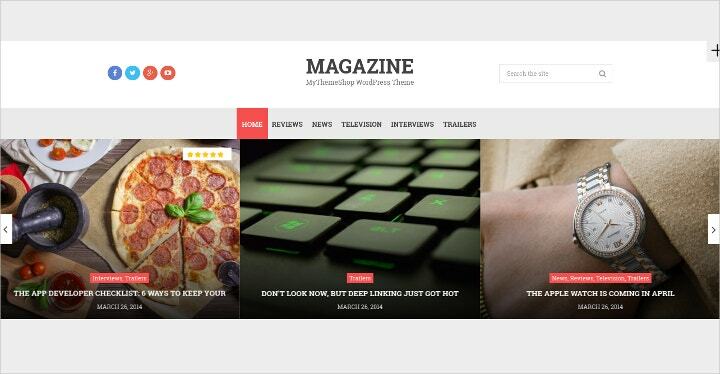 Magazine is a responsive WordPress theme perfect for those who wish to add several different topics into a single page without compromising the reader’s experience on the site. It also features multiple post formats and social sharing options. The theme has a clean, uncluttered look that is ideal for displaying high-resolution photography. Art Gallery is a responsive blog template that is powered by CSS grid technology, which allows for the easy creation and manipulation of the layout of the page. 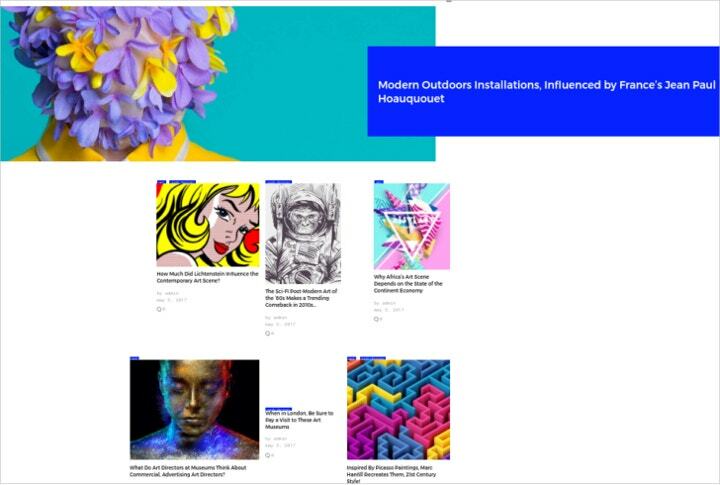 Having the ability to design the layout of your page into whatever layout you desire is a huge advantage when it comes to displaying your content to your viewers. Aside from the CSS grid layout, there is also a useful feature called the live customizer and customizable widgets that will allow you to edit and create new elements on your site to improve your users’ experience. Swift is a responsive WordPress theme created for bloggers who want to display their contents and topics with a certain degree of flair. With fully optimized features and functions such as the ability to control and change any aspect of the site easily, Swift is a fast and reliable theme ideal for a variety of lifestyle-themed blogs. Daisy is a pretty, clean, and simple WordPress theme perfect for the creation of a Personal Blog. Users who wish have an uncluttered website would do well to pick this template since it will let them organize their posts neatly. 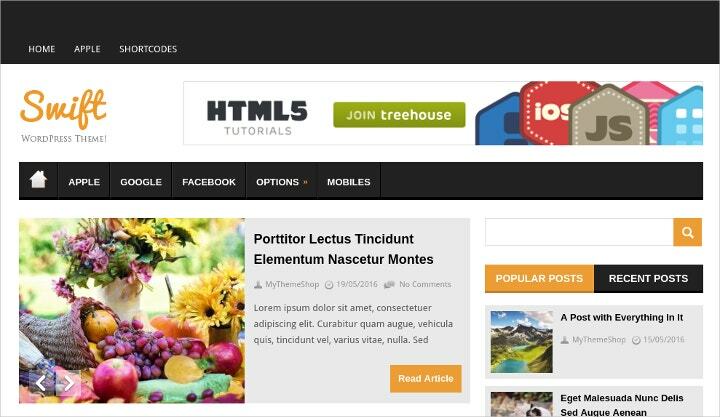 NewsPost is an innovative and beautifully made HTML template based website that is easy to use as well as easy to maintain. 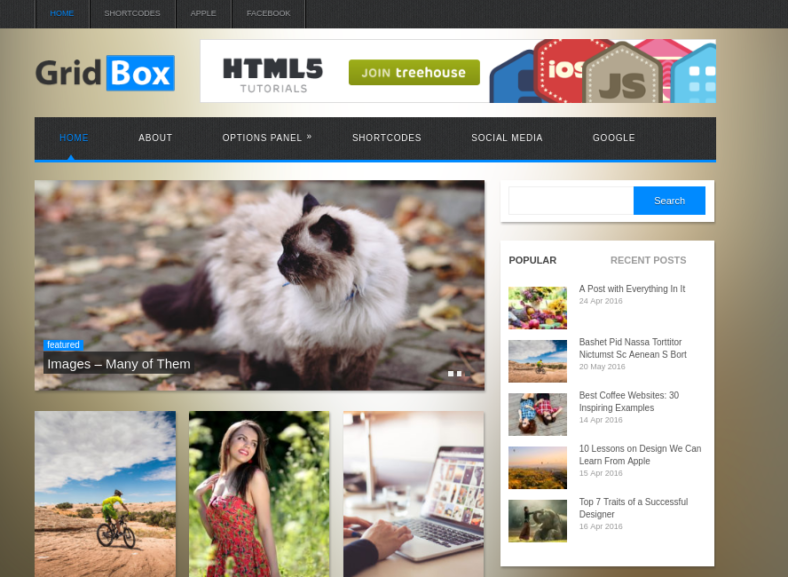 This HTML template is dedicated to the creation of a news sharing site or blog. It comes with a variety of pages that are capable of supporting advertisements that will help you gain some passive income to support your site. Its eye-catching features will ensure that your viewers will be coming back often for more of your content. This is thanks to the ability to modify any feature of this site with little effort. This theme is completely customizable, meaning it can be personalized in a variety of ways to ensure that it is attractive to both the viewer and the creator of the site. Being the best means you need to have the best. This is especially true when it comes to the creation of an online responsive blog site. The best sites typically have the best topics, the best graphics, and the best performance functions, which is exactly what the developers of Best aimed to achieve and create with this theme. Elizabeth is a simple, clean and multi-concept personal WordPress theme for blogs. It comes with nice typography as well as custom typography for those who want a more customized look. This WordPress theme is completely responsive and allows you to display social media profiles, custom menus, and feeds to Instagram and other social media sites. Elizabeth is a theme that will certainly make your WordPress blog look beautiful.